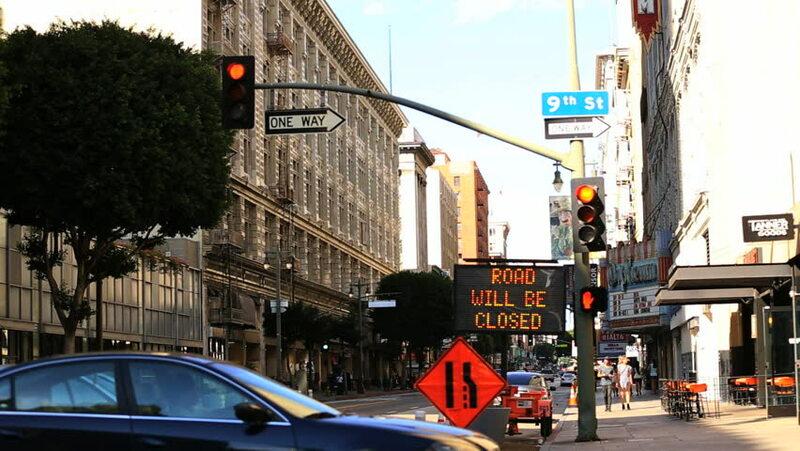 Los Angeles, California - September 7, 2014: Road Closed Detour Sign in sunny Downtown, September 7, 2014 Los Angeles, California. hd00:11UK, Scotland, Lothian, Edinburgh - August 13, 2015: View of the Princes Street. 4k00:15Westminster Subway Station - September 2016: Motion blur time lapse of people using subway station and London busses passing by.